You all know that I’m always looking for new sources of protein to add to my daily meal plan. Also, I am really trying to minimize processed ingredients in the food I eat. 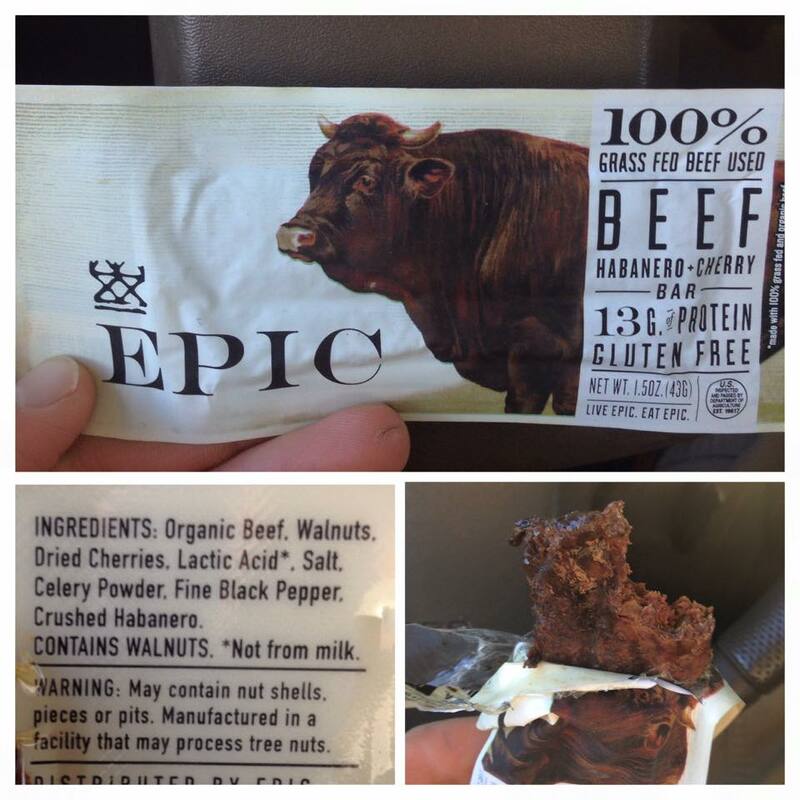 That is why I was really excited when I picked up the EPIC 100% grass-fed beef bar at Whole Foods recently . I don’t think it will replace my daily protein bar due to the price tag (almost $3) but the taste, ingredients, and protein content will make me buy more in the future. The Epic bar makes slim jims look even more unappetizing than they already are. In December, I wrote a post on the ETT Facebook page about the article “Tilapia is worse than Bacon” from eatthis.com. After reading the article, I suggested to followers of the ETT FB page that they avoid farmed raised tilapia and spend their hard-earned dough on quality seafood at the supermarket. Upon further review of several other articles, including one from Berkeley Wellness, it appears that farmed raised tilapia may NOT be as bad as eatthis.com made it out to be. Farmed raised tilapia contains much less omega 3 fatty acids than say wild caught salmon or wild caught tilapia for that matter, but it is still a great source of protein (26 g in a 3.5 oz serving). Also, tilapia farms in the U.S., Canada, and even Central America use sustainable aquaculture practices (which are certified by a third party) unlike some of the Asian farms highlighted in the eatthis.com article, which means you don’t have to worry about dining on a fish that may have been dining on animal waste. The eatthis.com article contains factual data but it appears they may have slanted their reporting of the facts in order to entice bacon lovers like myself. Check out both articles and let know if you plan on purchasing farm raised tilapia the next time you visit the supermarket. Now if you’ll excuse me, I have to go call my mother and tell her it’s ok to buy tilapia again. . This weekend, I participated in a tradition that according to Michael Pollan’s book Cooked connected me with some of our earliest human ancestors. That’s right, I did some grilling. I grilled/smoked some pork ribs to be more exact. As pleasurable as that experience was, it made me realize that lately I’ve been relying heavily on animal products as my primary sources of protein. I frequently proclaim my identity as an omnivore, but the recent lack of diversity in my protein sources may be hindering my ability to be a more proficient omnivore. With that said, I decided to follow a pescetarian diet this week. 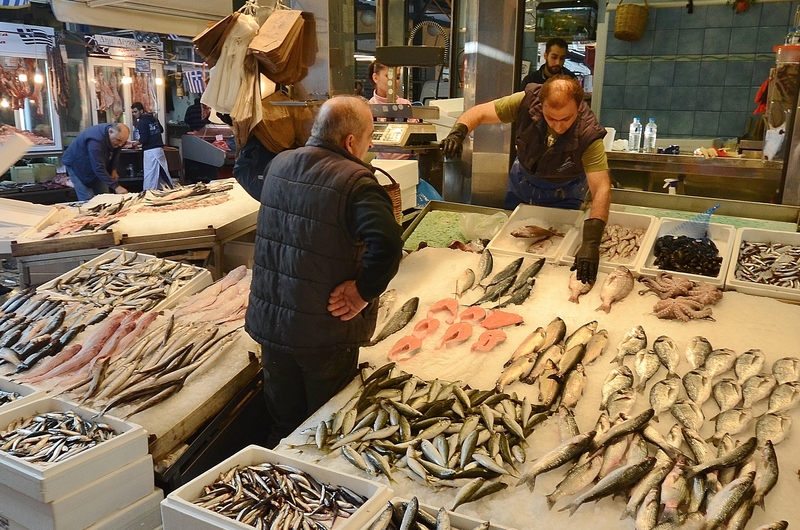 Yes, I know that seafood is still animal protein, but limiting my animal protein to one category forced me to discover alternative sources of protein. I could have bought a bunch of canned tuna and salmon, but that would have negated the idea of adding diversity to my diet (not to mention the price of quality canned products). I decided to do some research into plant-based protein sources and discovered that lentils are a great source of protein and provide several other essential macro & micronutrients. 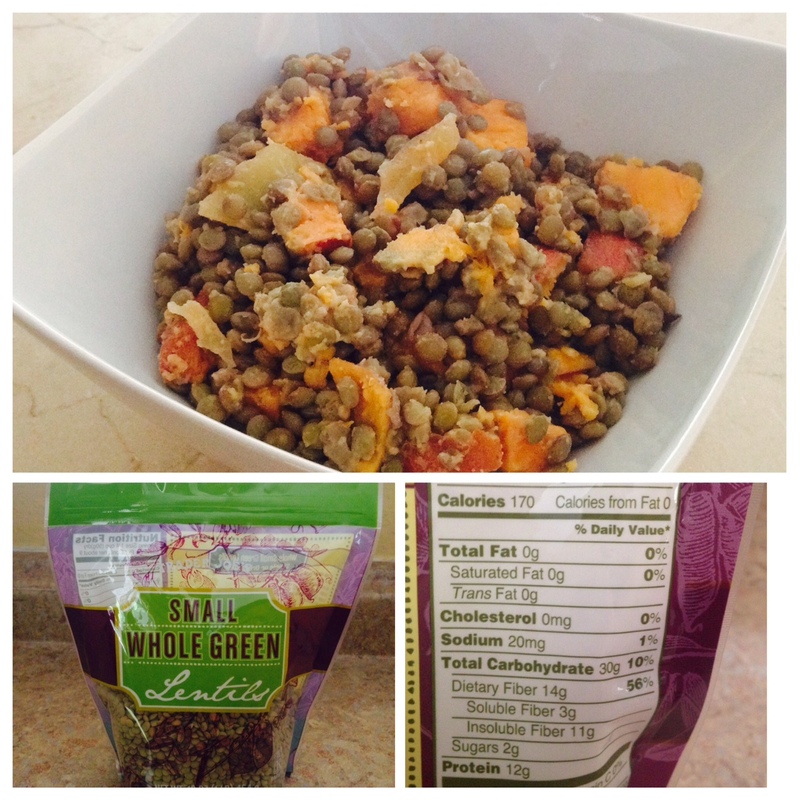 I picked up a 16 oz bag of green lentils from Trader Joe’s for less than $3. The bag contained 9 servings, each of which contained 12 grams of protein. That’s only 2 less grams of protein than the 2 oz can of tuna fish I picked up that same day. Lentils are not a complete protein (meaning they are lacking in one or more of the essential amino acids) but you can pair them with another food like nuts and/or seeds to make them complete. I don’t plan on giving up animal products anytime soon, but discovering new sources of protein helps me reach my goal of adding diversity to my diet. What are your favorite plant-based protein sources? Got any tasty protein-pack vegetarian recipes? Diverse would be a good word to use to describe my diet. My eating habits fall somewhere between a badger and a trash compactor. As non-discrimanatory as my palate may be, I strive to eat the most nutritious food available. Eggs are a constant staple of my diet, but the wide selection of eggs that exist at the grocery store makes it hard to choose which ones are the most nutritious. 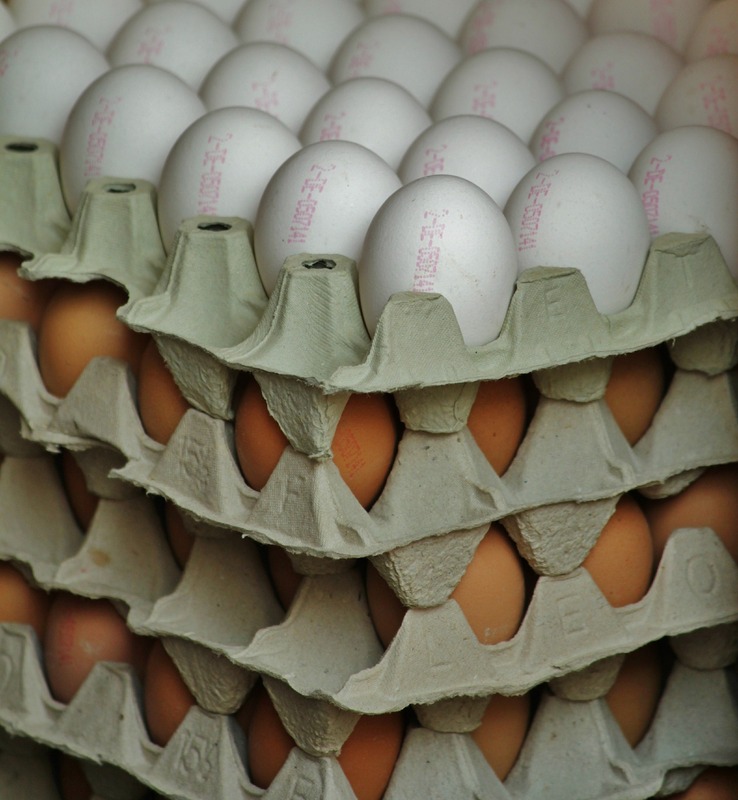 Unless you plan on building a chicken coop in your backyard (which isn’t that crazy of an idea), check out the article below and learn which eggs pack the most nutritious punch.